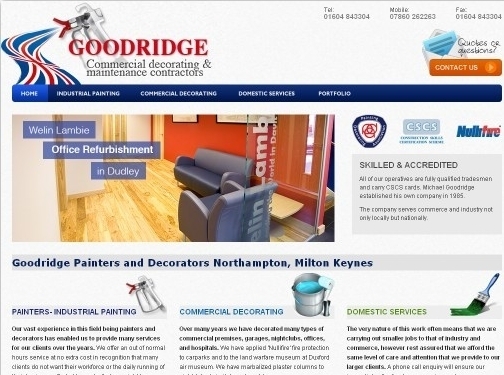 Goodridge are a provider of painters and decorators priding themselves on their high quality range of domestic, commercial and industrial services throughout Milton Keynes and the surrounding areas. UK (Northampton) based company providing painting and decorating services. Website includes details of services provided, portfolio of work completed (photo galleries), associations (under "Resources"), full company contact details.